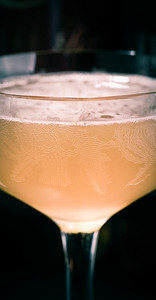 Like the Aviation and the Blue Moon, the Hesitation Cocktail is another of the early-20th-Century cocktails that fell out of the standard repertoire when ingredients vanished from the marketplace. It was the disappearance of Swedish Punch that pushed the Hesitation onto the zombie list. Before Prohibition, Arrack-based Swedish or “Caloric” Punch was a widely-used cocktail ingredient; it made other Cold Glass appearances in the Doctor and the Diki-Diki. 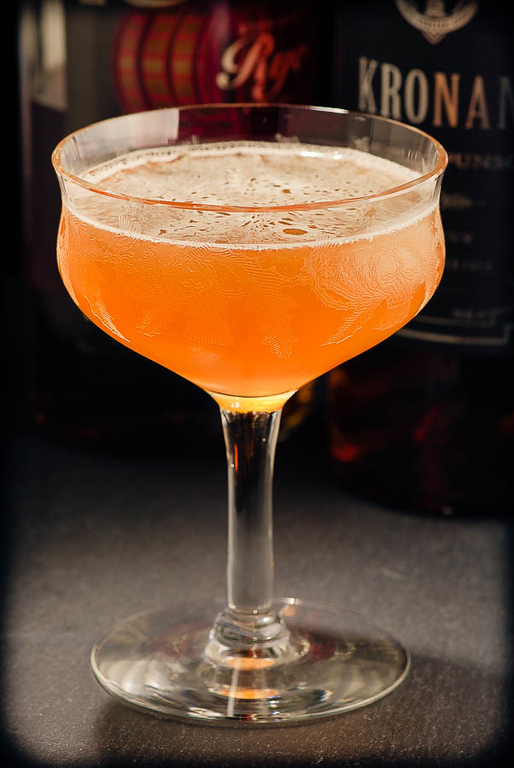 It first appears as an element of the Hesitation Cocktail just at the end of Prohibition, in Harry Craddock’s Savoy Cocktail Book . By the middle of the century, the demand for Swedish Punch was gone from the American market, and along with it went the Hesitation, the Doctor, and the rest. Also gone was knowledge of the product and its possibilities among those who make and drink quality cocktails. Fortunately, Swedish Punch has returned to the US, in the form of Kronan Swedish Punsch, and the Hesitation is back on the menu. The 1930s-era listings I’ve seen for the Hesitation suggest a very sweet drink, with a 3:1 ratio of Punch to whiskey, and just a “dash” of lemon juice. That formula is interesting and drinkable—a big, “hogo-ish” rum flavor, and markedly on the sweet side; if you’re okay with sweet drinks, and looking for something with mouth-filling flavor, the original 3:1 may be the recipe for you. Some of the modernized versions of the Hesitation lean toward a drier version, with a 1:1 proportion of whiskey and Swedish Punch. The problem with 1:1 is that it has no personality. Instead, I recommend converting the Hesitation from a Swedish Punch cocktail into a whiskey cocktail. The version I’ve listed here is a 2:1 whiskey drink, a far cry from the original 3:1 Swedish Punch cocktail. I’ve never seen it listed this way, but I think it’s legit (given the similar evolution of the martini), and I definitely prefer it. And increasing the lemon a bit doesn’t hurt, either. You won’t see the Hestitation listed in many modern cocktail manuals, but I believe its popularity will grow with the reintroduction of Swedish Punch in our market. The Hesitation is both flavorful and easy to make, and, at least at my house, it has a future ahead of it once again. “The Hesitation Cocktail” at cold-glass.com : All text and photos © 2013 Douglas M. Ford. All rights reserved. Great post…anxious to use my Swedish punsch in something other than dr cocktail for a change! If you like whiskey, I think you’ll find this a delightful change of pace, and a good addition to the repertoire. Thanks! I agree with Scot – I have had a bottle of punsch languishing in the back of the cabinet for a while now – i know what tonite’s first cocktail will be ! Any thoughts on kummel Doug ?! Hi, Paul, I hope you enjoy the Hesitation. I’ll be interested to learn over time if readers prefer the sweeter original recipe, or something from the drier end of the spectrum. As much as I’d like to seem really knowledgeable about, well, everything, I’ve never tasted kummel. That’s sort of strange, since caraway and cumin (the “kummel”) are both on my favorite flavors list, but for some reason I’ve never thought to try kummel liqueur. It’s inexplicable, but I can’t advise you on that one. After trying the original (too sweet), I had exactly one ounce of rye left in the bottle so I used that with 2 of punsch and 1/2 lemon. Very tasty but tasted quite similar to the doctor. So I opened my new bottle of Smooth Ambler Rye and tried your drier recipe. Wow. It truly is a new way to enjoy the Punsch. The flavor still comes through but the rye really does it’s thing and doesn’t just play buddy like the rum can do. Thanks for sharing! I’ll be adding this to my regular rotation, especially targeting my friends who don’t like the Punsch. It makes me very happy to hear that, Mike. Thanks!